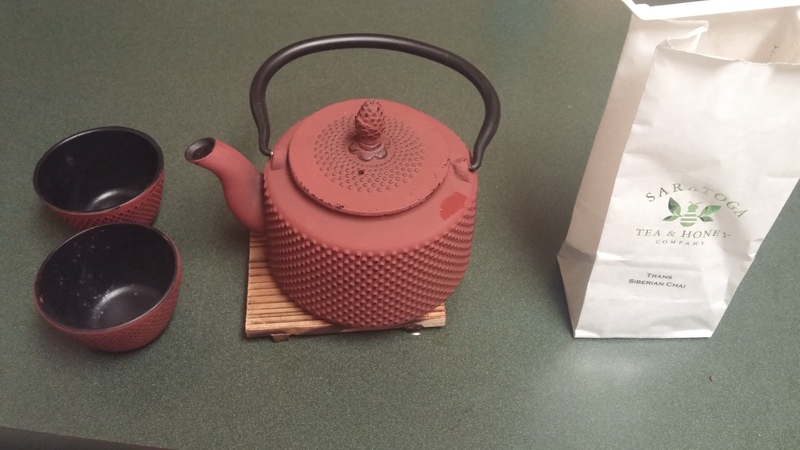 Now I’ve never been to Saratoga, but I’m grateful that my friends who visited recently, thought to bring me a bag of tea as a souvenir. 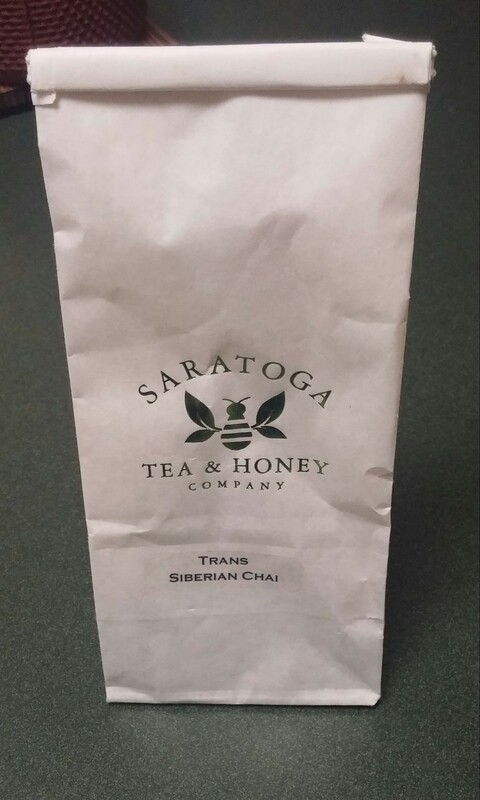 The Trans Siberian Chai from Saratoga Tea & Honey Company was an absolute pleasure to drink. What a work of art! And you can see a lot of thought and passion was behind this creation. This tea really got my spirits up, as it’s been needed. Summer is slowly winding down, but I refuse to concede it ending. We have a few weeks to go. Yet while this blend feels like more something more Autumn, it works well here as we’re now officially segued into September. 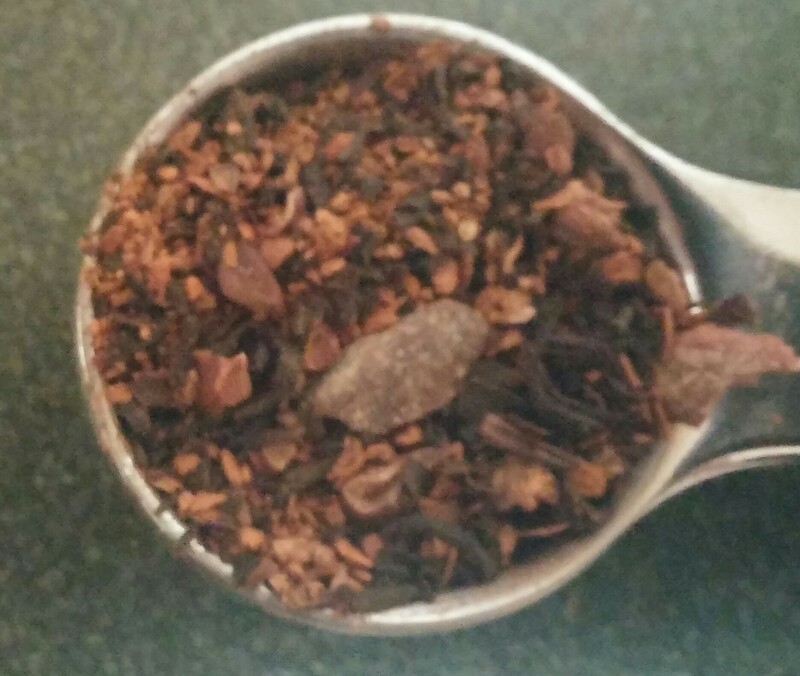 The flavors of cocoa, nutmeg, clove, and cinnamon are a soothing and comforting melange of joy. I don’t know how else to describe it. Actually I could write a ton more superlatives if I could. 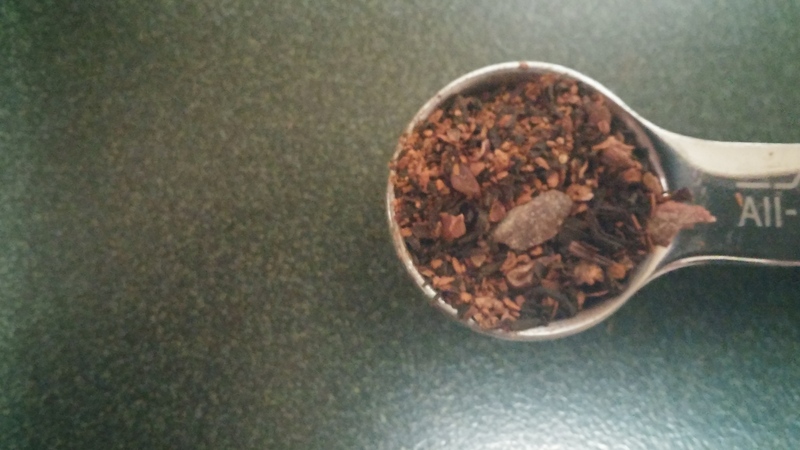 The cocoa, especially, really stands out and makes this a unique tasting cup. Cinnamon is one of my favorite spices and always warms my heart. I’l be honest, clove and nutmeg are not something I’ve had enough of, so those flavors, for me at least, are not quite detectable. 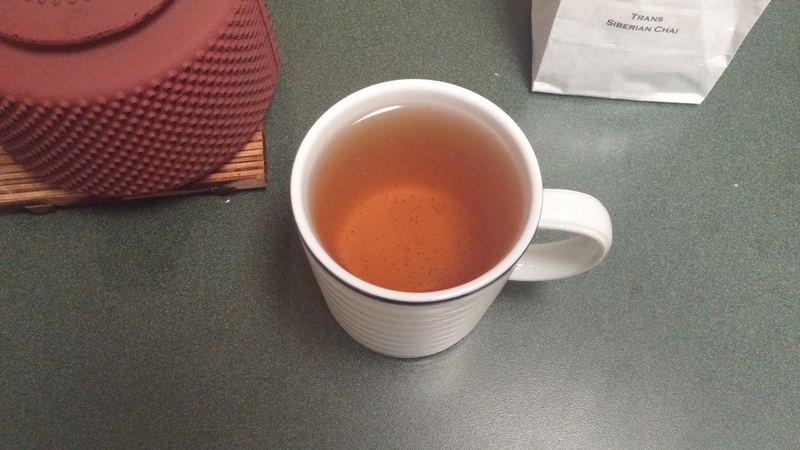 As I was smelling it and then sipping it, I was looking for those scents, and they didn’t hit me as like the aforementioned cocoa and cinnamon. And chai is usually always a winner. I wish I could add more links for everyone to enjoy, but the website seems to be incomplete and there’s an across the middle of the page it states that the online store is coming soon! Now that I look forward to! I love how the back of the label encourages us to experiment with the quantity, duration, and temperature for the heating process. And yet they still throw some helpful recommendations for time and temperature to boil! Good on them! What I also look forward to is a visit to Saratoga itself. A lot of places in the country and the world have alluded me. And I hope to cross that off my list. 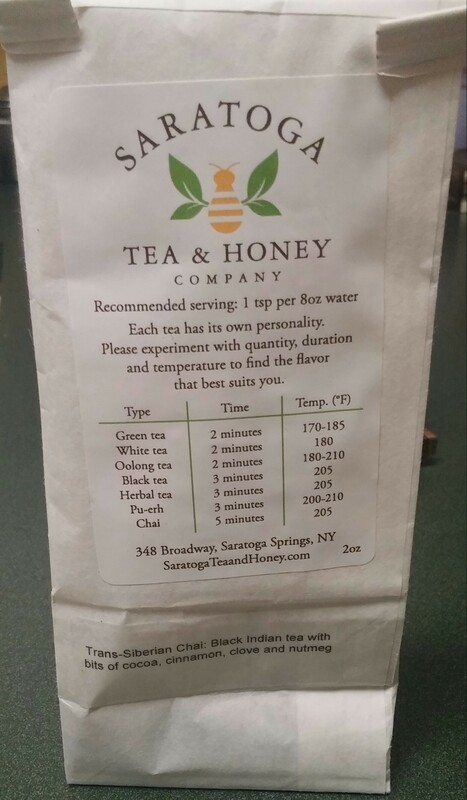 Not only for their teas, but I see they have a honey room as well. Join them at the bar for a pot of tea with pals! Yes please! 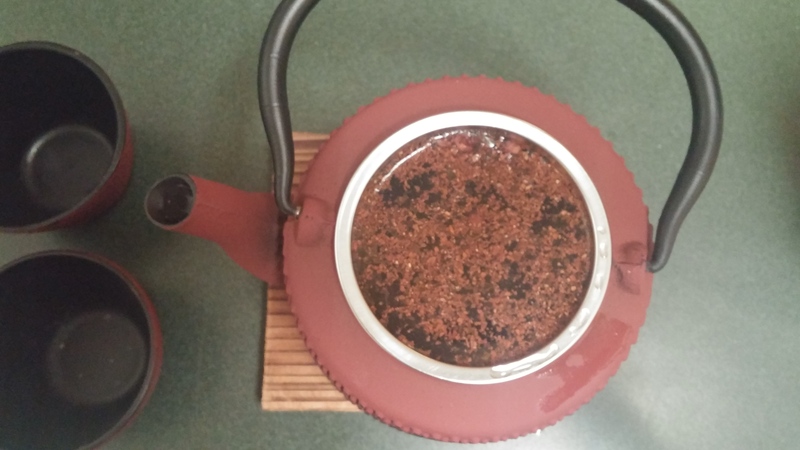 For now, I will do my best to capture the beauty of this tea brewing process. 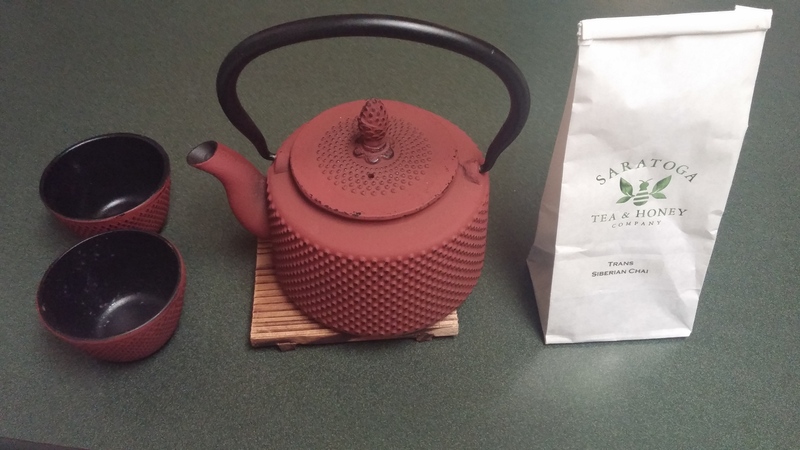 The same friends who brought me this tea, also purchased this majestic teapot set from the wonderful World Market. 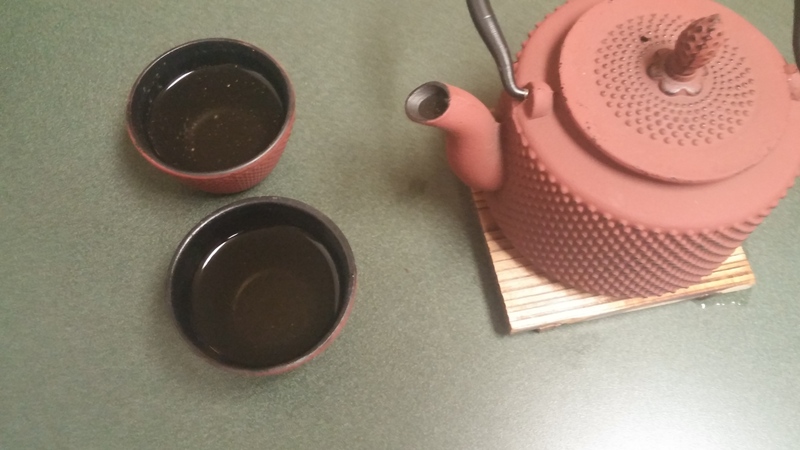 So it’s only right to bring it back for one of my favorite tea making rituals. I wanted to show you how amazing the tint is that I threw in a bonus photo in one of my favorite teacups! How gorgeous is that? And how beautiful are those tea leaves and spices? This is the real deal. The inaugural post with this pot can be found right here! 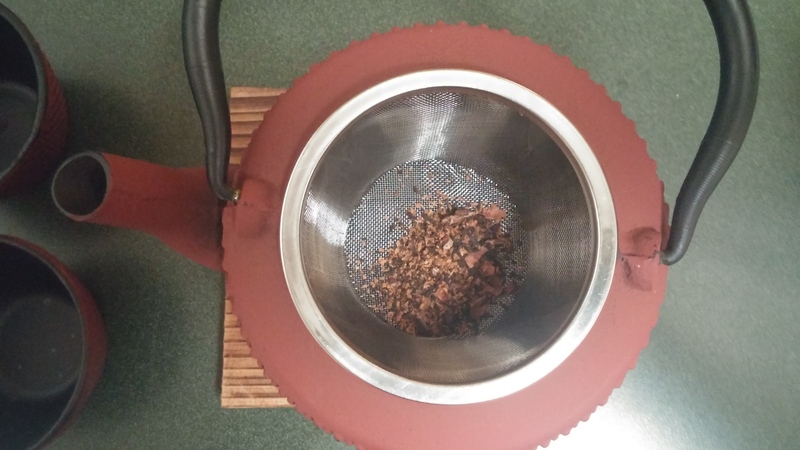 As the weather turns, and that pains me to say, more brewing and more fun tea contraptions will be seeing their returns and debuts in the weeks and months to come.